Jan 20th 2013: New album "The Eternal Now" will be released February 23rd on Danse Macabre Records be sure to check out the lyrics for it as we've updated the lyrics section. Tragic Black has a posted new song, "Doomsday" on their ReverbNation, Myspace & Youtube. Also, here's the cover for the new TxB album. 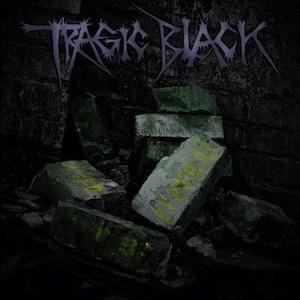 Nov. 10, 2012: Tragic Black band is proud to announce that their new album will be released by 'Danse Macabre Records' in Germany with an early 2013 release. Explore Danse Macabre more here. Copyright © 2010 Tragic Black. All rights reserved. Website designed by Jordan Livingston.